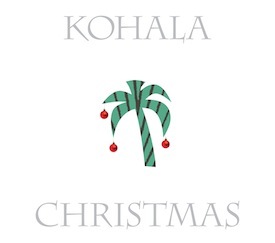 Instrumental arrangements of Christmas classics performed by Hawaii’s acoustic guitar trio, Kohala, with their acoustic blend of island folk and jazz. “Brotman and his partners excel at playing beautiful, unobtrusive instrumental music. They do that here, and the result is an album that will be a perfect choice as background music for Christmas dinner or quiet holiday parties. Kohala is more than muzak, however — the interplay between the three guitars deserves attentive listening, and the trio succeeds in making even familiar seasonal melodies interesting. Far too many local Christmas albums in recent years have sounded like they were thrown together for quick sale with a minimal amount of imagination. Brotman and his group do quality work, as both musicians and arrangers, from start to finish.